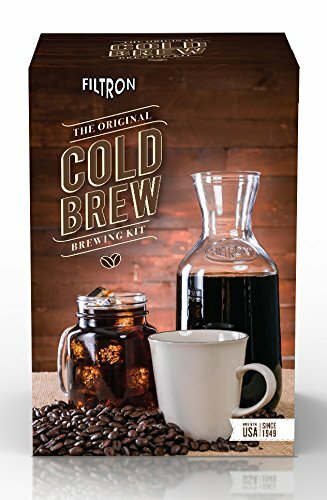 Cold brewing reduces the amount of acid in coffee. The coffee concentrate can be used to make iced coffee, hot coffee, and milk drinks like lattes and macchiatos. Comes with a coffee bowl, water bowl, filter pad, rubber stopper, grounds guard, measuring cup, 1.5 liter decanter, and 2 sample paper filters. This item is extremely simple, easy to use, and brews excellent coffee. If you have any questions about this product by Filtron, contact us by completing and submitting the form below. If you are looking for a specif part number, please include it with your message.